Malaysia’s government launched a one-month auction today for a luxury yacht bought with money stolen from the multibillion-dollar looting of a state investment fund. 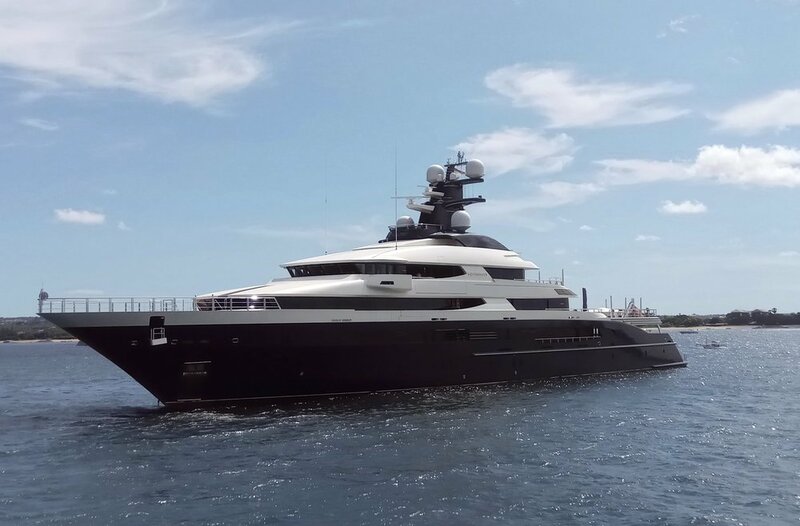 The sale came nearly three months after Indonesia returned the US$250 million yacht, Equanimity, after it seized off Bali in February in cooperation with the U.S. FBI. The U.S. Justice Department, one of several foreign agencies investigating a massive graft scandal at the 1MDB fund, had listed the yacht among the assets it could seize and sell to recover stolen funds. U.S. investigators said Malaysian financier Low Taek Jho, better known as Jho Low, who the Justice Department alleges was a key figure in the theft and international laundering of US$4.5 billion from 1MDB, bought the yacht with proceeds diverted from 1MDB. Ong Chee Kwan, a lawyer for 1MDB, says the government opened bids for the 300 foot (91.5 meter) yacht following a lengthy court process. Low, who has so far evaded investigators, has through statements issued by his U.S. lawyers slammed the handover of the yacht to Malaysia as illegal but didn’t claim ownership of the vessel in the Malaysian court. The court awarded ownership of the yacht to 1MDB and the government as no one challenged their claim. Ong said advertisements were placed in international and local media on the yacht sale that will be handled by London-based brokerage Burgess Yachts. He said interested parties must put in a US$1 million deposit to bid for the vessel. Once the auction ends November 28, he said the government could make a decision on the sale within a week. Former Prime Minister Najib Razak set up 1MDB when he took power in 2009 but it accumulated billions in debts. The 1MDB fiasco led to Najib’s electoral defeat in May’s general elections and ushered in the country’s first change of power since independence from Britain in 1957. Najib and his wife have been charged with multiple counts of corruption and money-laundering over the 1MDB case. Both have pleaded not guilty and their trials will start next year. The new government has said corruption by Najib’s administration caused national debt to pile up. The yacht, currently docked at Port Klang outside Kuala Lumpur, is being sold to recover as much money as possible.